CUT & SEW — DEMAND NATIONMADE! CASE STUDY: WOMEN'S LAMINATED WOOL OUTERWEAR COAT. Nationmade produced this highly technical laminated wool outerwear jacket in Oakland, CA. We found the face fabric (wool blend) in Los Angeles and sent the yardage to Illinois for lamination. Then the fabric was shipped to Oakland for cut/sew. There is a kill-free 3M "downproof" insulation, which is blown through a down feather machine to simulate the down fill soft handfeel. 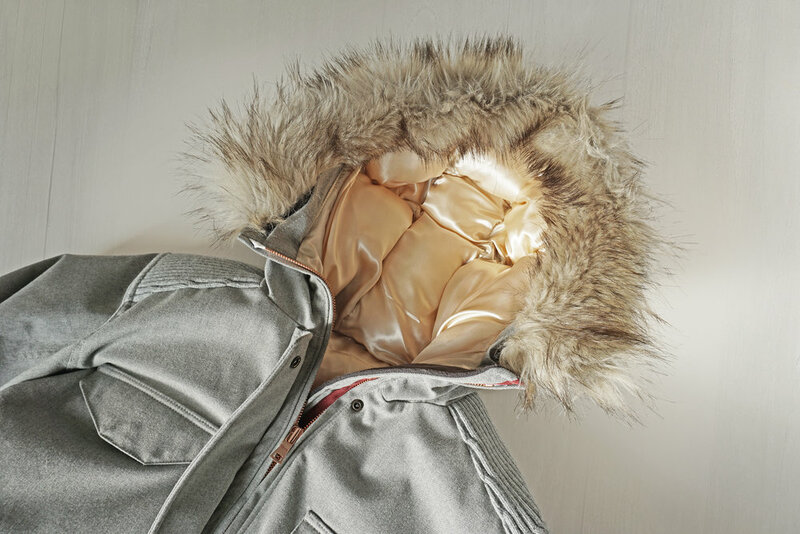 Faux fur sourced in the USA, the Japanese-quality zipper was made in Los Angeles. Custom grey heather rib knit for cuffs/hem/shoulder were also knit in LA. CASE STUDY: WOOL BOMBER JACKET. A beautiful wool bomber jacket made from Virgin Canadian wool, satin lining with gold print, Japanese zipper and matching camel rib knit collar/cuff/hem. Produced completely in Los Angeles, CA. CASE STUDY: NYLON SATIN BOMBER JACKET. A beautiful nylon bomber jacket made from US woven nylon, satin lining with gold print, Japanese zipper and matching navy rib knit collar/cuff/hem. Produced completely in Los Angeles, CA. CASE STUDY: DVOC FLY FISHING. From top left. Women's spf sun hoodie, women's fishing jean, men's fishing shirt and stretch herringbone jean. 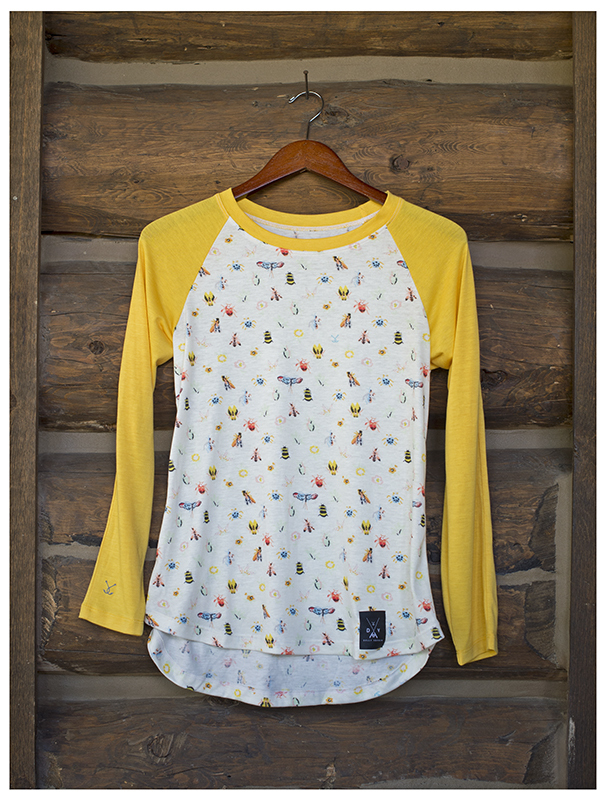 Men's technical fishing shirts in Coolmax/spandex blend. Women's fishing hoodie and baseball shirt in spf polyester and dye sublimation prints. CASE STUDY: FILLMORE OUTERWEAR PANTS. 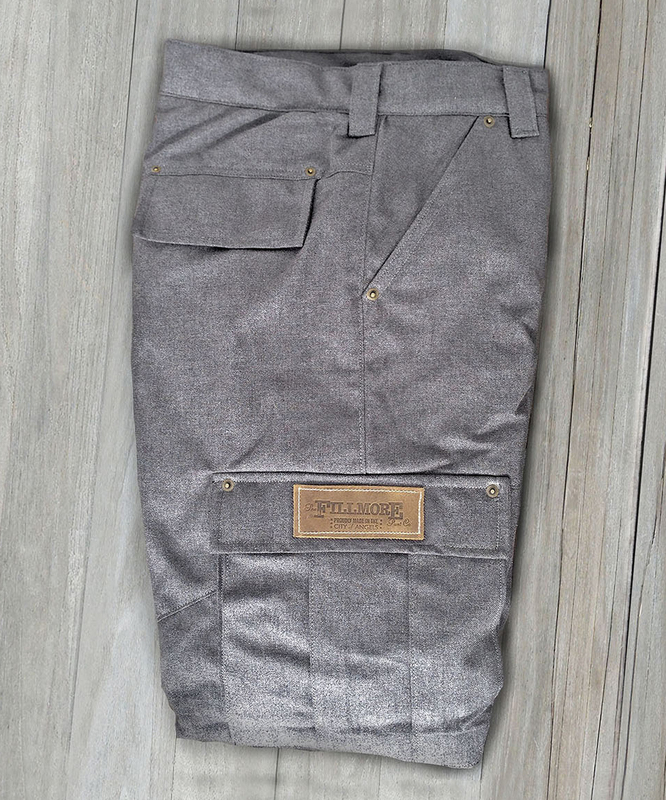 Workwear/outerwear Fillmore pants made in Los Angeles. The fabrics (stretch denim and stretch wool) were laminated with a waterproof/breathable laminate and treated with a durable water repellent (DWR) finish. The pants feature zippered pockets, custom-made authentic leather patches, tricot lining with 60gm insulation. 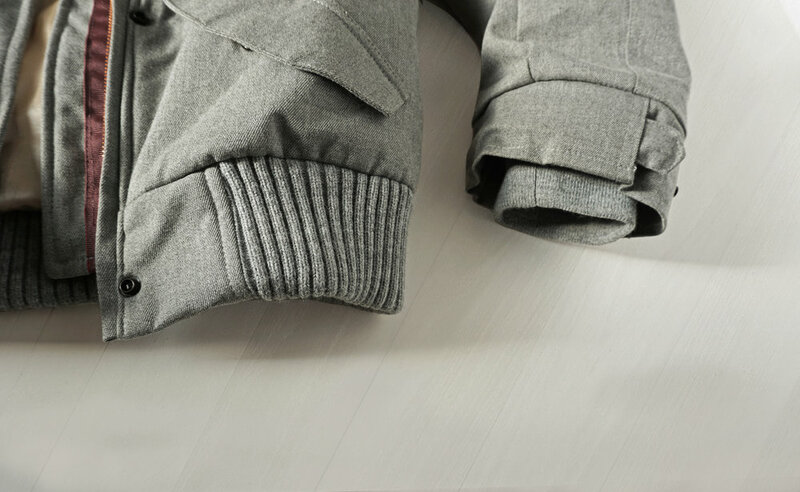 Pants also feature a hidden snow gaiter and snap cuff.